After the death of hip-hop mogul Chris Lighty was reported on Thursday, many entertainment industry insiders expressed their grief and shock. A-list musicians and actors including John Legend, Rihanna and Omar Epps took to Twitter to share their personal stories and extend condolences to his family. Just woke up to the worst news. Damn homie. Im so confused about this. RIP Chris Lighty. 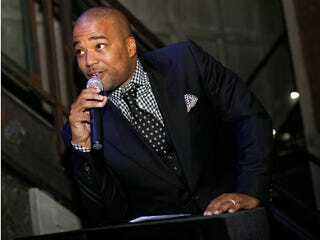 RIP to my ol music mentor Chris Lighty. U will be deeply missed.